Riding a bike is a rite of passage for most kids. 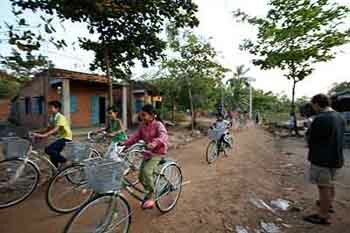 But in the developing world a bike can equal freedom and mobility and a vast improvement to life. 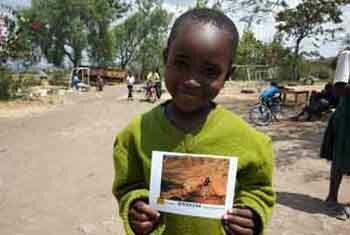 88bikes, a Seattle-based nonprofit, has a goal to provide bikes to kids in developing countries, especially kids who have been affected by the challenges of war, disease and poverty. The organization’s latest effort, its Asha 2012 project, will provide bikes to girls throughout Eastern Europe and Southeast Asia. Working with non-governmental organizations, the Asha project will focus on girls who have been confined by the depressing cycle of slavery and abuse. It started in 2010, when 88bikes worked with an org called Free the Slaves in India. A girl in the town of Bihar was reportedly sold into slavery. She later courageously escaped and returned to the town’s ashram, a place of spiritual retreat, and she found help there through Free the Slaves, which works in the town. 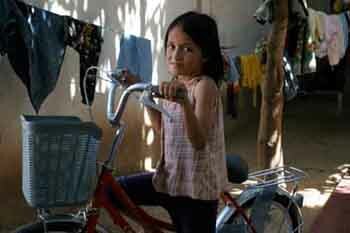 The girl, symbolically-named “Asha” to protect her identity, was given a bike. It gave her independence, 88bikes said, and it helped to get her “reintegrated back into her community.” The organization followed up by donating bikes to every girl in the ashram in Bihar. The Asha 2012 project continues and expands on this theme. 88bikes will partner with existing non-governmental organizations like Free the Slaves in places including India, Nepal and Eastern Europe to find girls in need of the freedom and mobility a bike can provide. The organization has an initial goal to give 1,000 bikes to girls in need by the spring or summer of 2012. So far, as of December 2nd, the org’s website lists 116 people who have given money to donate a bike. You can be one of the first 1,000 people involved with donating an Asha 2012 bike. It costs $88, and more info or online donation methods are at www.88bikes.org. Click “projects” for the Asha 2012 page. If you send in a photo of yourself with a donation 88bikes will then present your bike to its recipient along with your picture, showing the girl who bought the bike and that someone out there in the world cares about her and personally wants to help. —Pam Wright is a contributing writer for GearJunkie and an editor at UpNorthica, a publication on canoe camping and the North Woods.